The truck is fully loaded up!! 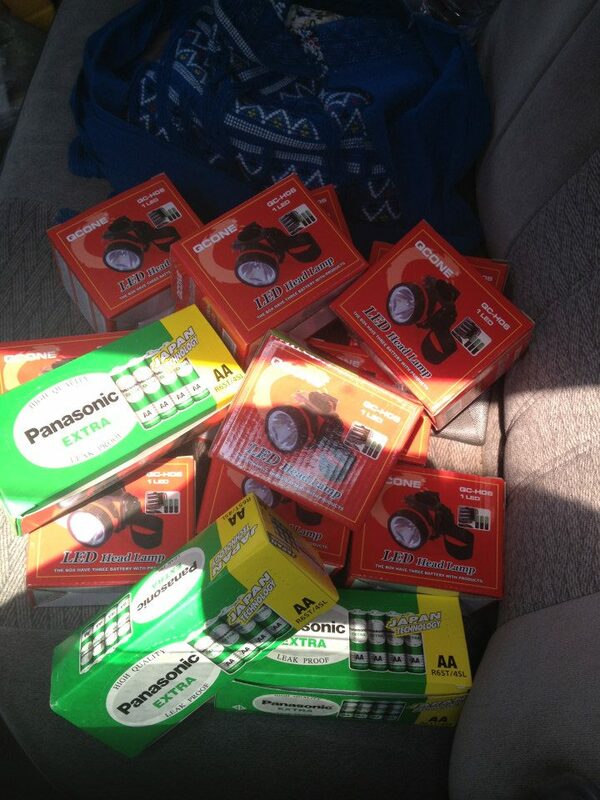 Head lamps & batteries so work can be done at the dump at night. Working at night is the best time for many reasons, among them: Most of the dump trucks come in at night, and it’s not as hot then as during the day, which is horribly hot! The head lamps allow dump residents to see at night and work longer. Megan and Suzanne.